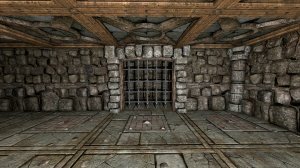 Which one is from Grimrock ? Ok, so the game got a lot of comments about looking too much like Grimrock, even Juho, one of the Grimrock’s creators came to comment on the Greenlight page. 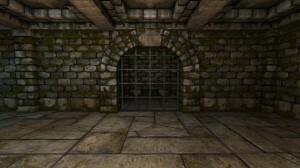 Both games get their main inspiration from Dungeon Master and its grid-based movement, so they ought to look similar. 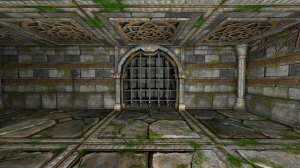 But I also played Grimrock when it was 1st released back in early 2012 and I really liked its mossy dungeon and asked my environment artist to create an old mossy stone wall set. I didn’t ask him to copy Grimrock’s one, though. If you look in details, you’ll see that nothing is same, but despite that the general impression is similar. How it came to this result ? 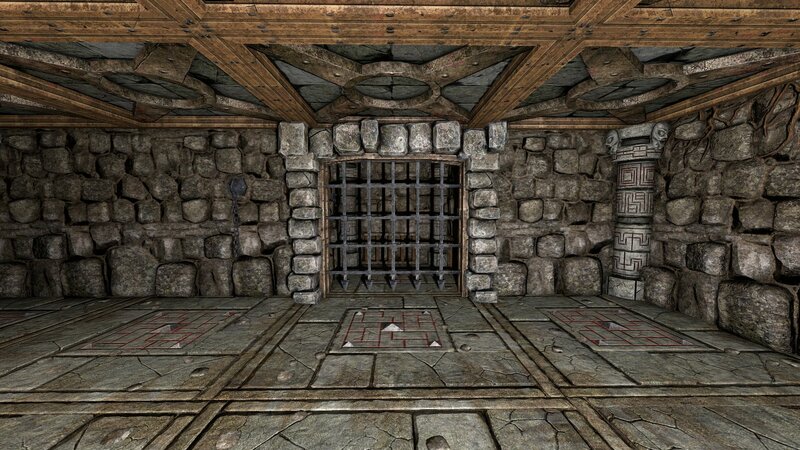 For me, it was looking good without being too similar from Grimrock. Notice how the column, the ceiling and the floor are different from the final version as shown on the 2nd screenshot at top of this post. The artist refined and changed a few things, little step by little step and delivered the assets. I checked them 1 by 1. 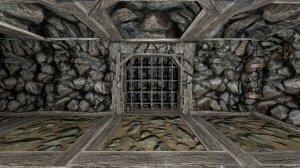 Every asset looked different from Grimrock : different shapes for models & textures, different saturations, different colors, different contrasts ; all was good. Then I set up everything and put all pieces together in the game, and here : “oh jeez!”. It felt similar to Grimrock. 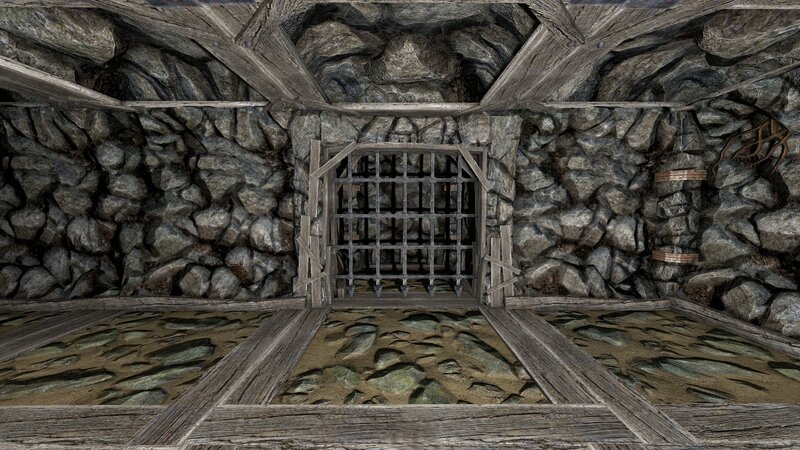 I was a bit annoyed, so I went back playing Grimrock, and once in-game, I knew in less than 1 second I wasn’t in mine : although it looked similar, it still didn’t feel the same when playing, so for me it was ok. And it had to, because I was on a super tight budget and couldn’t afford to drop 1 environment. Moreover, the Old Mossy Dungeon is only 1 environment out of 4, so that’s 25%, and actually even less if you count the little variations (each environment has 2 or 3 variations), so more like 20%. Then you add all the creatures, the visual FX and the GUI, and that’s only 10% of the whole visual a bit too close of Grimrock. 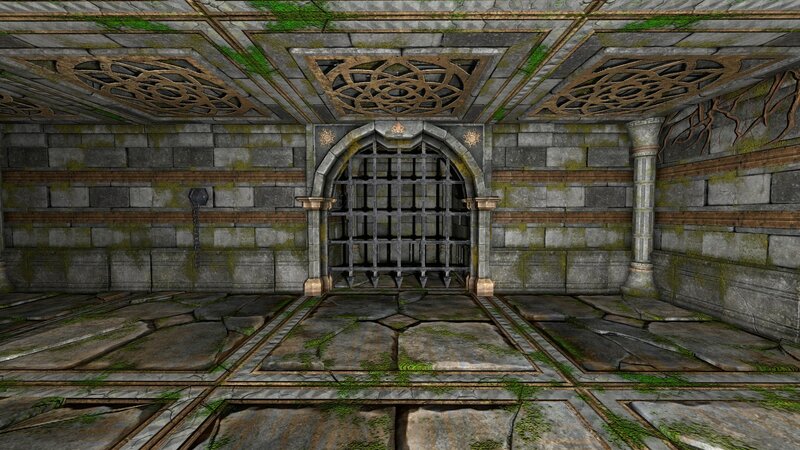 You add the gameplay & the controls, and you’re left with 5% of the whole game a bit too similar to Grimrock. So please stop to complain because I wanted to have green moss on my walls and try to see the game past that..! 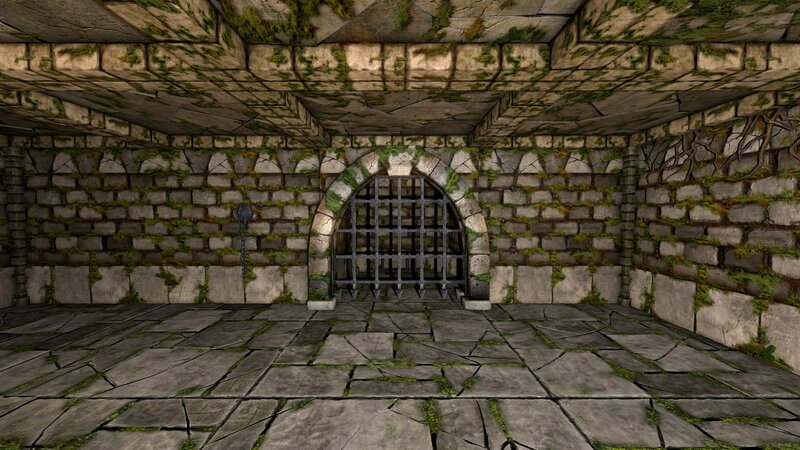 I mean except if you think no one should ever be allowed again to do stone walls with moss in a video game, of course ! « 44th Weekly Update : Intense Week !